Why customers aren’t engaging with your survey. And what to do about it. This eBook examines the real damage survey fatigue is doing to your brand. 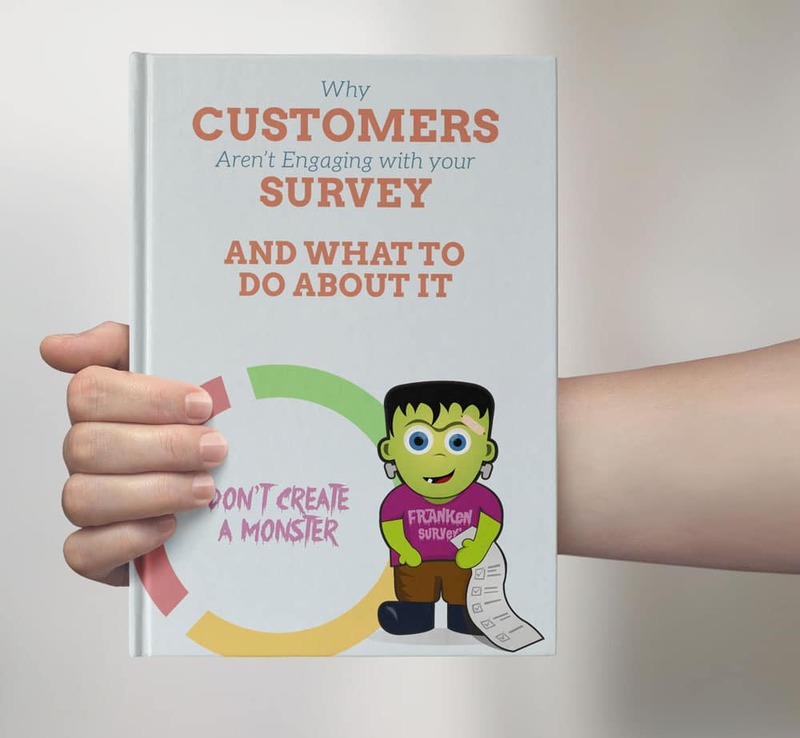 Don’t create a monster survey. Reclaim the customer feedback process as part of a positive and engaging customer journey. If you’re about to unleash a long survey on your unsuspecting customer base, read this first. In a highly visual online world the fiddly long survey has had its day. And it’s probably damaging your brand. Customers want to be able to complain or reward your service as quickly as they can like a picture or pin a website. They have no time for surveys, and the average response rate of sub 2% proves it.